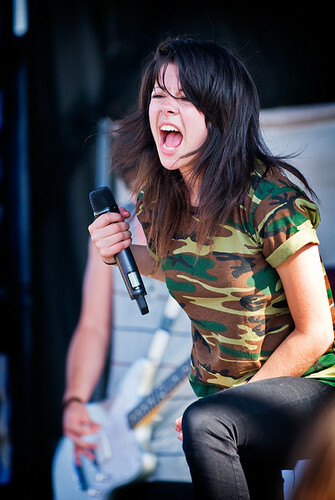 NEW VIDEO: WE ARE THE IN CROWD'S "THE BEST THING (THAT NEVER HAPPENED)"
Tay Jardine at Warped Tour. Here's the new official video for "The Best Thing (That Never Happened)" by We Are The In Crowd, released today. We Are the In Crowd announced that their new album Weird Kids will be released February 18th with pre-orders starting on today. Weird Kids, released from Hopeless Records, is the follow-up to Best Intentions, their critically acclaimed debut album.